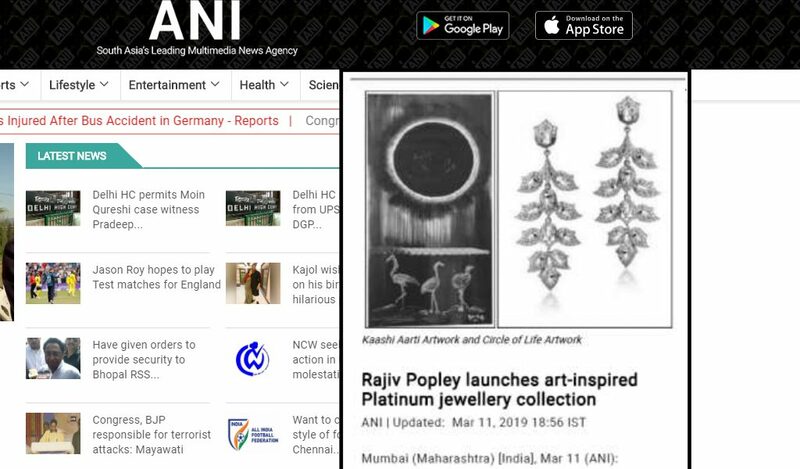 Mumbai (Maharashtra) [India], Mar 11 (ANI): Renowned jeweller and artist Rajiv Popley unveiled a platinum jewellery collection inspired by his own collection of paintings. A curated collection&nbsp; that can never be made twice, all originals in rare and precious Platinum. 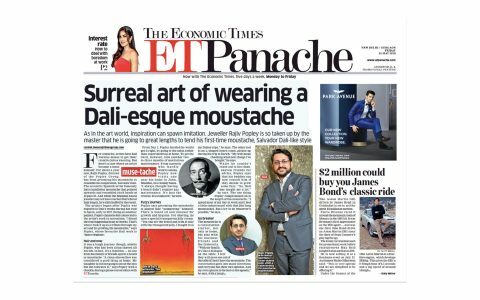 Deeply inspired by Salvador Dali, his newest series of oil on canvas models surrealism at its core immersing a spiritual and meditative feature. 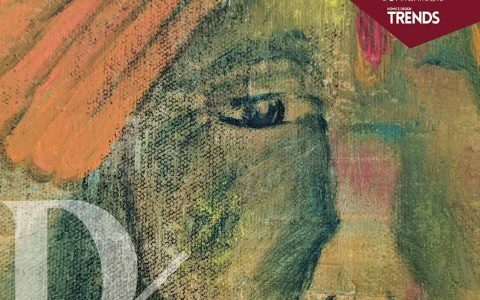 This new promising series is blended with Hindu culture and the land of Kabir Kaashi. One of the most captivating pieces named “Kaashi Nath” is inspired from the tranquil phenomenon at Kashi where the sun rises, the bells ring and the holy fire purifies the air. The yellow sapphire surrounded with rose cuts set in platinum, circled by enamel and baroque pearls symbolises the serenity at Kaashi during the sunrise aarti on the Ganga ghats. Another riveting piece from this collection is named the “Circle of Life” which embodies the entangled nature of life, death and infinite nature of energy. The flamingos – a powerful animal totem in the spiritual universe, symbolizes the release of old emotions and represents new experiences that journey along the circle of life. Taking inspiration from this is the ethereal pair of earrings crafted in platinum combined with pink gold in alternating design, depicting eternity. The flamingo wings are fabricated in Platinum and Rose gold embedded with Rose Cut Solitaires outlined with hallow of brilliant cut diamonds. This piece of art also extends inspiration to another striking pendant symbolic of the blue moon in the painting. 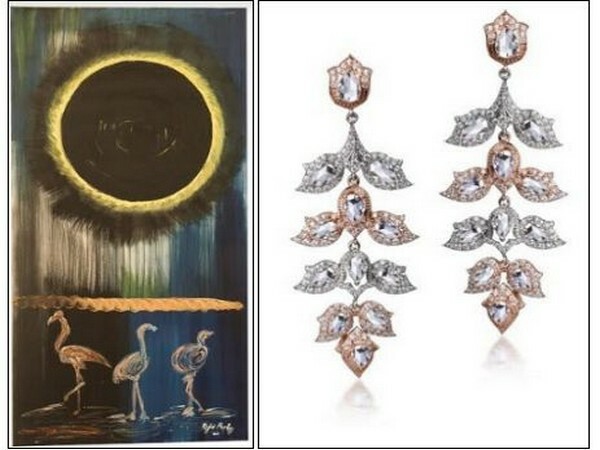 As the blue moon glows in the light of the Sun, while the flamingos dance happily….blue sapphire set in pink gold dangles from the radial star of marquise rose cuts set in platinum centered with yellow sapphire. 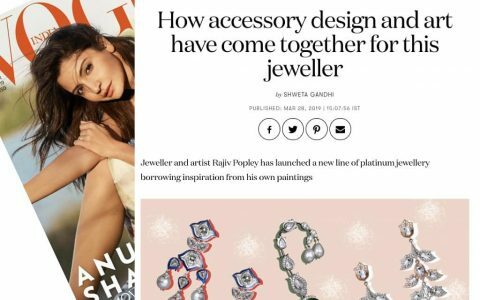 “I have expressed my passion by creating art-on-canvas that will adorn the wall and then translated this into platinum ornaments as art to be worn and flaunted,” said Popley.